1. 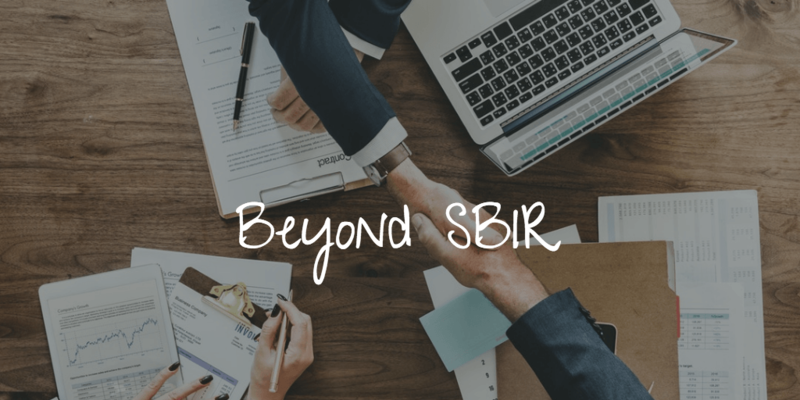 Other government grants: SBIR grants are arguably the most popular form of federal funding, but there are plenty of other opportunities to gain funds from the government. Most governmental organizations that have an SBIR program, will have grants available outside of SBIR as well. Check out grants.gov to see all of the options. 2. Foundations: Foundations typically cater to non-profit organizations, but that is not always the case. Some foundations offer certain grants to small businesses, especially businesses with a mission dedicated to social or environmental change. If this applies to your business, be sure to look for different foundations. 3. Mentorship Programs: There are a plethora of mentorship programs that exist for various small businesses. Some are specific to certain groups, such as women-owned or minority-owned businesses. Mentorship programs often include various professional development components, such as creating a marketing strategy or a business plan, but some also include small amounts of funding to help your business get started. They may also provide free marketing materials or incubator space. 4. Accelerators: Accelerators are a common funding source for small businesses, however, not all business owners are comfortable with taking investments that require equity. That said, there are accelerators available that don’t require any form of equity, and may provide some mentorship aspects as well. These types of accelerators could be a great source of funding for your business. SBIR is a great place to start, but there are plenty of other funding streams out there. We can help you with locating funding for all of project and program needs.